This ever-growing yoga community has a new evolution to announce! 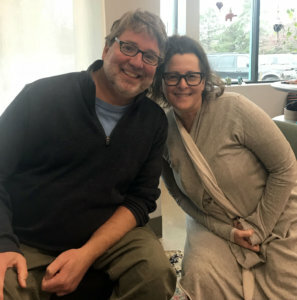 This growth brings together two founders– Jennifer Gray of The Yoga Center Retreat and Matthew Sanford of Mind Body Solutions– rising from their respective traumas to create inclusive spaces that are welcoming and nourishing for the public. Both The Yoga Center Retreat and Mind Body Solutions are dedicated to fostering community-focused, yoga-based, better living in a collaborative environment with their aligned organizations. Matthew is a nationally recognized yoga teacher, sought-after public speaker, and paraplegic for the last thirty seven years. In 2002, he founded Mind Body Solutions: a nonprofit 501(c)(3) with a mission to transform trauma, loss and disability into hope and potential by awakening the connection between the mind and body. Mind Body Solutions also offers workshops for caregivers and healthcare professionals that teach the integration of practical mind-body techniques into daily practices. Jennifer Gray has studied with many great yoga teachers and scholars of our time. She has written curriculum and designed programs for both the yoga community and her community at large. A wife, mother of three, yoga teacher, public speaker and business woman; founding The Yoga Center Retreat was not only the next logical step, but the realization of a long-time dream. Serving as a yoga and wellness home for many, The Yoga Center Retreat offers high quality classes, programs and training options for beginning and advanced yogis alike. Jen and Matthew are no strangers to the transformative power of yoga. These two visionary leaders are shifting their organizations in tandem to better support the minds and bodies of the community. This neighborhood of synergistic organizations holds nonprofit and for profit endeavors under one roof. While this transition means merging locations, Mind Body Solutions will maintain their nonprofit status as they lease space from the Yoga Center Retreat, meaning the offerings at this location will continue to expand. Between traditional and adaptive yoga classes and workshops, numerous opportunities for self-growth are offered continuously at the St. Louis Park location. With the official move scheduled for December 1st, the Mind Body Solutions Minnetonka location will close November 25th, although several teachers have already shifted to the Yoga Center Retreat schedule and location and will continue honoring previously purchased class passes. Together, these two are paving the way for wellness collaboration. 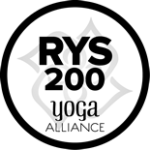 Intentionally building an inclusive space remains the passion of these two innovators, and both Mind Body Solutions and The Yoga Center Retreat cannot wait for you to visit. 5 Reasons Why You Should Join Our 230-Hour Yoga Teacher Training Program.